A modern CRM system might just be the most important tool a business can choose. Used intelligently, CRM software can transform the way that your business interacts with its customers and acquires new ones. Customer Relationship Management software can be slick, simple to use and brilliantly designed. But the best platforms are extremely powerful, too. They can let you see all the details you need about your customers, such as when they last contacted you, made a purchase, or when their contracts with you expire. You can then use all of this data to communicate with your customers more intelligently. This might be for one-to-one customer service, or for carefully planned marketing campaigns that can target particular groups of customers for maximum effectiveness. Choose the right CRM solution, and you can improve your customer retention and staff efficiency, too. If you’re not sure where to start with choosing CRM software, we have handy guides and expert reviews to help. If you’re trying to decide on one CRM platform or another, it’s helpful to get an overview of the main CRM providers. Our expert CRM reviews are here to help. Which is best for your company? It really depends on the scale of your operation and the needs of your business. The best move you can make is to get some personally tailored quotes from CRM providers, so you can understand and compare costs for using their software. Learn more about how CRM software works, what it can do for your business, plus how to get started when choosing CRM software. Customer Relationship Management software is an incredibly powerful tool that can be used to turn customer data into actions for your business. A good CRM platform will give you a window into all of the customer activity your brand needs to know about. At a single glance, your business will be able to see the contact information of your customers, plus a record of their communication and transactions with your business. It can help you serve your existing customers better, or to gain new customers. We’ve reviewed top CRM software brands, including market-leader Salesforce. This CRM giant has a fantastic reputation for its software, and deservedly so. Salesforce isn’t the only name in the game, however. There are plenty of great CRM brands to choose between, such as Microsoft Dynamics and Zendesk. You can even try free CRM software for your business. Check out our handy guide to the Best Salesforce Alternatives for more. CRM is a competitive field, with plenty of CRM brands vying for businesses to adopt their platforms. Most work to similar principals, but have a different look and feel. Some may be better than others at integrating with your existing software and customer databases. The big question, of course, when it comes to CRM software, is how much it could cost your business to implement. The smartest thing you can do is compare quotes from different CRM providers, giving you tailored prices for the needs of your business. Zendesk has just launched a Salesforce competitor, Zendesk Sunshine, which promises to be an open and flexible CRM platform. Openness is the main selling point: The Sunshine platform lets users layer additional applications over the Zendesk toolkit. TeamGram CRM is a cloud-based customer relationship management tool best utilized by small and mid-size businesses. The software provides a great service for a business that needs a streamlined sales process that can easily access all customer data from a central location. Salesforce and Microsoft Dynamics are two giants of CRM software, but which is best for your business? We examine both CRM suppliers to help you choose, including a look at their features, integrations and all-important price plans for businesses. Salesforce Pricing: How Much Does Salesforce Cost? This popular CRM comes with some upfront costs, but the fact is the best CRMs are not free. With that in mind let's take a look at Salesforce's costs to help you figure out if this is the right CRM for your company. 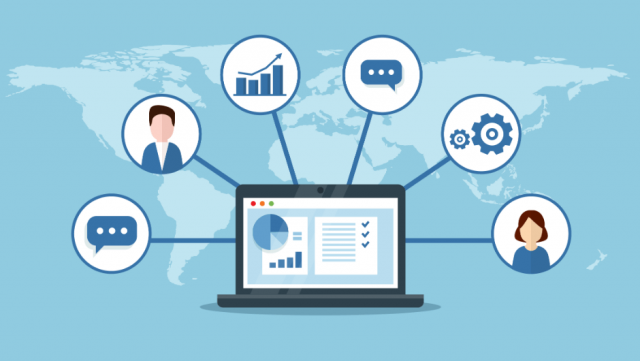 Not only is the CRM software market competitive, with over a half dozen top-quality options available, but the array of features and add-on integrations can be confusing. Each CRM is different, with unique functions and potential extra costs. Which is best? We're glad you asked. The San Francisco-based amoCRM offers a CRM software service that delivers the basics of CRM — a streamlined deal-closing pipeline — while offering a API that allows third-party widgets to fill in any unique needs a business may have. Does it live up to the promise? Both Zoho and Salesforce are capable services that have a lot to offer; however, the question really isn't which of these companies is the best choice but whether either of them is the right fit for you. Salesforce works for successful companies including including Adidas, Toyota, and Spotify. The real question is whether Salesforce or Oracle can work for your business. This article aims to guide you through that decision with a general comparison of both platforms. India-based software manufacturer Zoho offers a CRM with a good range of features in an easy-to-use platform, backed by an international 24/7 phone support team. Hubspot vs Salesforce – Which Is Best? Can you really fulfil all your business CRM needs with free CRM software? Read our expert guide to Hubspot vs Salesforce to find out. Plus, we explain what you really get with the 'all free' version of Hubspot, versus the paid-for add-on tools you can use with it. Apptivo CRM offers all the core features businesses need: It stores customer data, manages sales and billing, and hosts a help desk. Better still, it comes at one of the lowest prices in the CRM industry, making it an attractive pick for cost-efficient managers. Salesforce Lightning is the new UI that changes the look from Salesforce Classic, and gets newer features. We explain both in our expert Salesforce guide, and help you understand the differences plus the benefits if you're looking to deploy Salesforce for your business. The Hubspot CRM is far from a poor CRM software, and is definitely a large improvement over no CRM for a growing business. Hubspot is a recommended CRM for businesses who need or want a free option. At over 4.25M users, the Microsoft Dynamics CRM is a well-known customer support option. The Dynamics suite streamlines business operations and customer relation, is functional and remains well-priced for the industry. Zendesk offers a suite of support apps that each allow a business to focus on one function of customer service. They can be accessed under a single user interface, for businesses that choose to bundle multiple Zendesk services. Is Zendesk's 'lite' CRM worth using? The Salesforce CRM lets businesses monitor and improve their customer relationships. The business offers a suite of different services, called "clouds." TechCo's review explains whether it's worth buying. 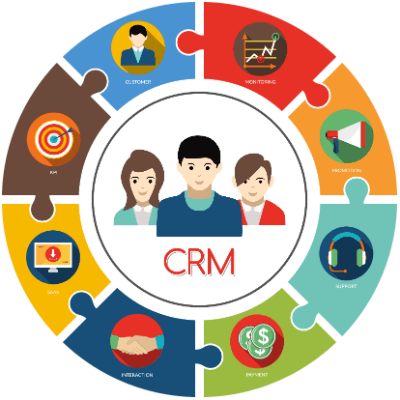 CRM software can make your Customer Relationship Management smarter, helping you focus on the needs of your existing customers or find new ones. We explain all you need to know about CRM software and how it can help your business to serve its customers better than ever before. When your business is in its early stages, with a small team and handful of customers, managing contact details isn't particularly challenging. But as your organization grows to the next level spreadsheets just won’t cut it. Find a suitable CRM system to help you stay on top.